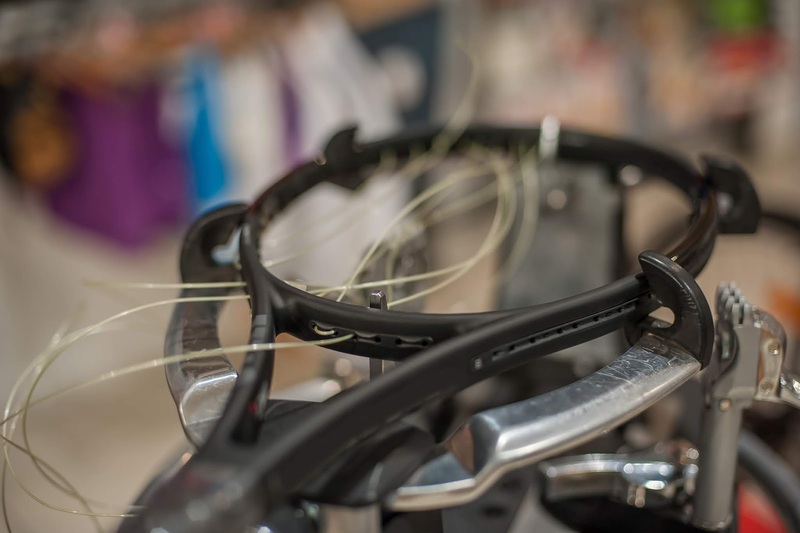 Learn how to string your own tennis rackets in 2019. Here is how to get started. 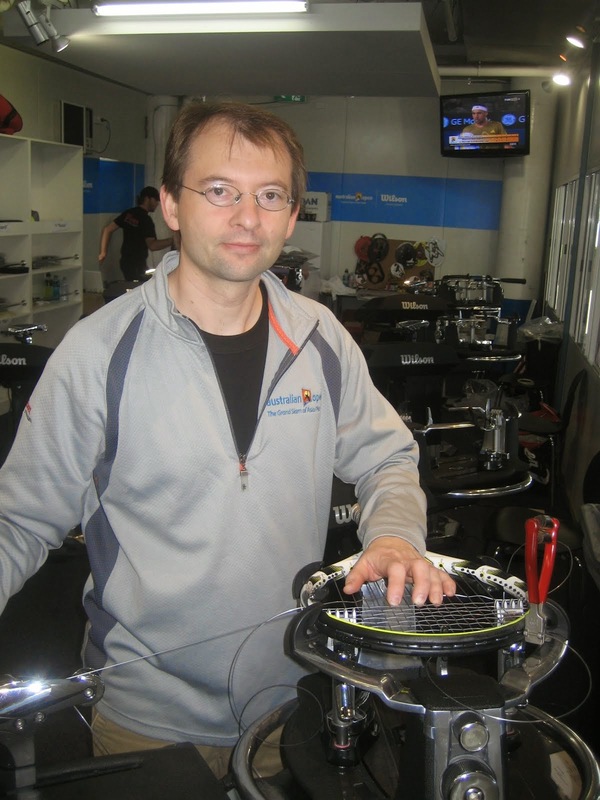 Learn How to String your own tennis rackets in 2019. Yes, it is possible. This is the best way I know to get you stringing today. Lets get motivated to start now. I will take you through the complete process step by step. SIDE NOTE: I am currently working on a video series that will break everything down in small steps and you will learn through video and other tutorials demonstrating step by step using the drop weight stringing machine. Stay tuned for more info on this, I am excited to be sharing this. The reason we are going with the drop/weight system of stringing is due to good entry level pricing. You can get started stringing for around $200 dollars. Before we get started, I am making a few assumptions: 1. You play tennis and have a tennis racket that you want to string. 2. You have purchased a stringing machine, and for this tutorial, preferably a drop weight type machine. If you have an electronic machine or lock-out manual type machine many of the principles will still apply, I will be doing a series on these machines sometime this year as well! LETS GET STARTED! - First things First. 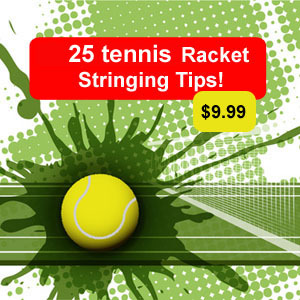 Learning how to string tennis rackets is more than the mechanics of installing the strings in a racket. Yes I will teach you that but I will ALSO give you tips, hints and advise on 'best practices' which will be especially useful if you plan on doing this for a business or wanting to string on the professional tour. I have been stringing rackets for over two decades and have learned a lot of valuable lessons, some were easy but some habits were hard to break. Once I started stringing for professionals I had to break some of the bad habits because they slowed me down and when it comes to speed and consistency you have to streamline your methods. If you learn correctly from the start, things are much easier for you down the road. The ideas is to learn correct habits that later became automatic and save you time! I will also be including some tips in each step as well. ( I also have available for purchase my extensive stringing tips and tricks ebook if you want them all now!. ) Some of the tips I provide might sound simple, some might not make sense at first and some you might need to revisit several times to understand, and that is ok... There will be a learning curve but stick with me here. This is going to be fun. 1. Get to know your racket, before stringing give it a good look over. Before starting I will inspect the frame, condition of the grommets and remove any residue, dirt. This may also be a good time to replace your grip, etc. You are especially looking for any cracks or breaks in the grommets around the hard corners of the frame where the string has the potential to break through grommets and be rubbing up against the frame. TIP:If you see cracks in the grommets at key points around where the string could be cutting into the frame, use tubing to eliminate the chance of breakage. I will show how to do this at another point. TIP: You also may want to put a plastic covering over the grip before you start the stringing, this may sound somewhat weird but you can eliminate the chance of touching old sweaty grip, and eliminate possibility of ruining the grip. I have seen where the stringer may be eating a meal like pizza, etc around the racket, pick up the racket by the handle and the racket smells like pizza later. I hope this makes sense, and it does happen... I admit it may have happened to me a time or two!